On June 17, 2016, our 265 AmeriCorps members wrapped up their service year in a graduation ceremony at Northeastern University. There, more than 300 family members, friends, school partners, mentors, and champions gathered to celebrate the accomplishments of the corps and the growth of the students they served. We were also proud to present red jackets to three principals: Christine Connolly of Grew Elementary School, Danielle Ratliff of Higginson-Lewis K-8 School, and Jordan Weymer of McKay K-8 School. "She told me that in her classes there were kids who needed more help than she did, and her teachers were very busy helping those students. But also City Year was there, and whenever City Year was there she knew she had someone who could help her learn." Ravina Wadhwani of the Westfield Capital Management team with Mildred Avenue K-School represented her peers as corps speaker, reflecting on her year of service and looking at how the corps could continue to build on the legacy they had created. The program concluded with Crystal Torman ’08 ’09, the City of Boston’s Senior Advisor to the Chief of Economic Development, welcoming the corps to the alumni community and leading them in their graduation pledge. Thank you to everyone who has supported of our corps and their service this year. 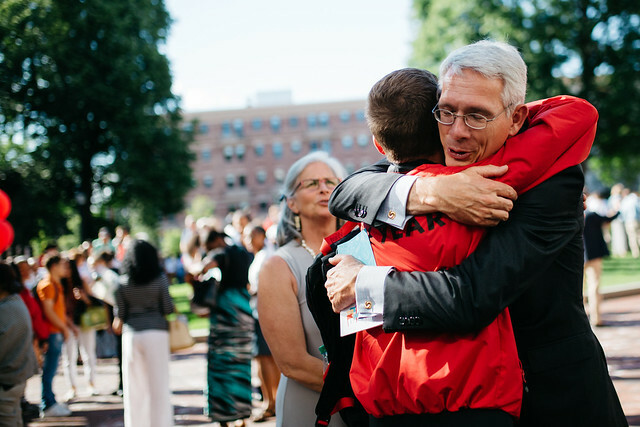 See the slideshow below to view more photos of City Year Boston’s 2016 Corps Graduation.